The internet is a wonderful place (most of the time). So wonderful that I admittedly tend to spend a lot — okay, too much — of my time here. Between the numerous blogs I read, podcasts I binge-listen and newsletters I love, there’s always something creative, insightful and entertaining to consume. And lately, there’s been a lot of good stuff I want to talk about and share — of course, I do that on the daily on Twitter and Instagram stories, but every once in awhile, I’ll pop in here with a little love list — a roundup of all the Internet-y things making me smile or think. 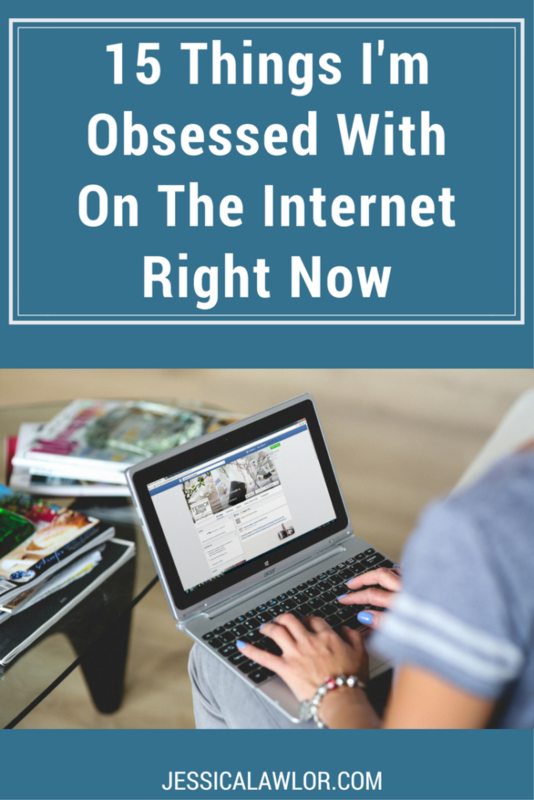 Here are 15 things I’m obsessed with on the internet right now. Even though I shared 50+ podcasts I listen to back in the summer, somehow since then I’ve managed to stumble upon a whole bunch more I adore. I’d even venture to say a few of these have become absolute must-listens in my weekly rotation. Why’d You Push That Button? “asks the hard, weird, occasionally dumb questions about how your tiny tech decisions impact your social life.” Hosts Ashley Carman and Kaitlyn Tiffany (from The Verge) must be inside my mind because they dive into seemingly weird topics I’ve definitely thought about before like why we watch our own Instagram stories (guilty!) and why we save text threads. Do you love to complain about everything? Me too, and that’s why this podcast’s tagline (and name) had me from the start. Can host Kelly Keegs be my new BFF? Please, and thank you. So I’ve recently become totally obsessed with the show The Good Place — if you haven’t seen it, season one is on Netflix and you should stop reading this blog post to start watching it right this minute. This podcast dives DEEP into each episode (I mean, a 90-minute pod for a 22-minute episode?) and I love every moment of analysis and theories about the show. Grab a box of tissues — no joke. 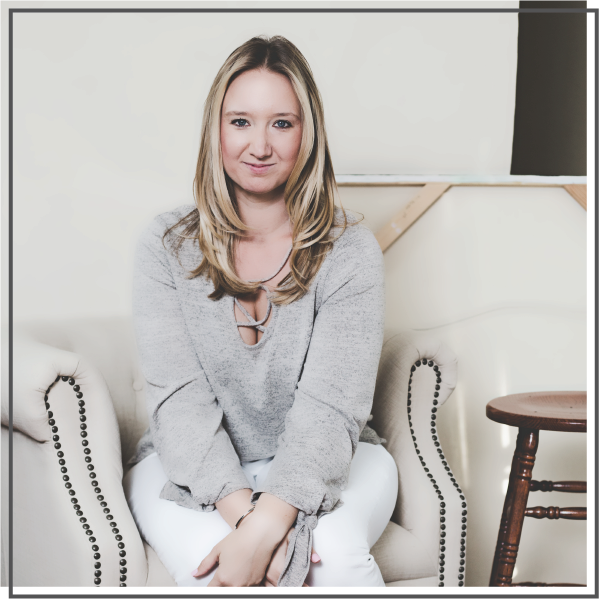 You may recognize Monica the Medium from her show on Freeform a few years ago, and now she’s back with a podcast where she does live mini-readings for people looking to connect with their lost loved ones. I pretty much cry my way through every episode. After my annual new year’s purge of my digital subscriptions (ah, a clean inbox is a happy inbox), I’ve cleared some space for these daily/weekly newsletters I’m actually excited to open. Delivered each Friday, the Girls’ Night In newsletter is filled with “all the best reads and self-care recommendations for your night in.” I usually find at least one or two awesome long reads to keep me busy, and I also discovered the Why’d You Push That Button podcast (see above!) from this email. Well, duh. If you’re not already reading the Skimm, you’re missing out, and where have you been? I don’t get out of bed in the morning until I’ve read my daily Skimm, so I can be up-to-date on the latest news. If you love the internet too, this newsletter is for you. Compiled by Big Spaceship, Internet Brunch is filled with “the best stuff on the Internet.” This email hits my inbox around noon, and often provides at least one or two posts I click for my lunchtime reading. *Bias alert! * Muck Rack is a client, but I’m not involved in the writing of the Muck Rack Daily, so I’m allowed to count it among my favorites. The Daily is a digest of journalism on Twitter, so you can see which news stories are trending on social media. If you’re a journalist or PR pro, this one’s a must-read. I try to be a minimalist when it comes to apps on my phone (forever running out of storage!) but these three apps have proven quite handy. I am so late to the Reddit game. For years, I knew it existed, but I didn’t understand this strange-to-me internet subculture. Until my boyfriend really explained it to me and I discovered subreddits devoted to fan discussion around some of my favorite guilty pleasure TV shows — now, I’m hooked. Hey! Bumble found me a man, why can’t it find me a new BFF? One of my goals in 2018 is to make new friends, so I’m using this app to try to meet women in the Philly area who love wine, brunch and The Bachelor as much as me. If you’re looking to up your Instagram game, this free planner app is a must, and lets you arrange your feed so that it has that perfect aesthetic you’re looking for before you hit publish. Every Sunday, I get positively LOST down the Pinterest rabbit hole. Since moving into my apartment last year, and discovering my love for cooking, I’m obsessed with meal planning and trying out new Pinterest recipes. Here are some of my favorites, as of late. My sister shared this recipe with me when I got my first crockpot, and let me tell you, it does not disappoint (it’s now my go-to for when I need to bring food somewhere). I usually add a jalapeño pepper to spice it up a bit. Sweet and spicy, my absolute favorite combination! The sauce perfectly bakes into the chicken in this recipe without drying it out. This has become one of me and Tim’s most-cooked meals. I use apple sausages my parents pick up for me when they visit the Poconos, so the sausage slightly differs from this recipe, but the same idea applies. Delicious. What are you loving on the internet lately? Leave me your favorite pods, pins and posts in the comments below!